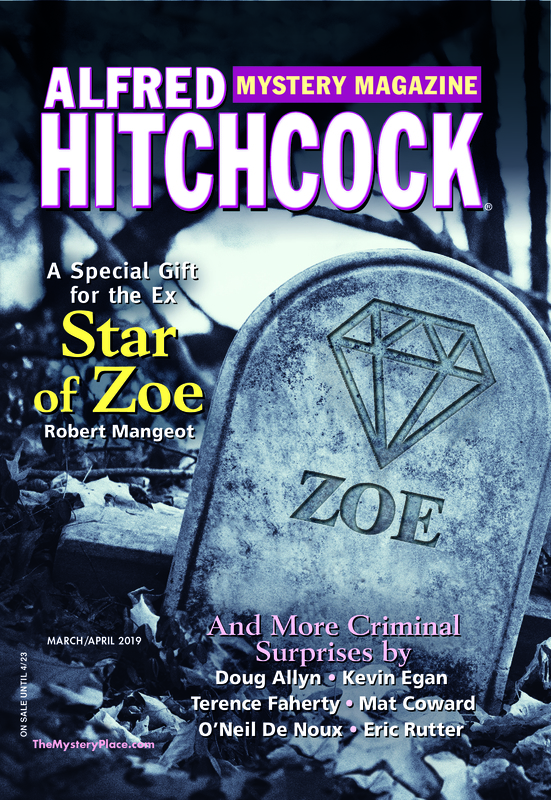 Author and fashion consultant Shauna Washington’s first short-story case for Las Vegas stylist-sleuth Stacey Deshay appeared in the May 2012 issue of AHMM. Here she talks about the series’ Las Vegas setting and her story “Knockoffs,” from the current issue. I like to think of Vegas as a glittery playground. There’s something for everyone, although everything isn’t for everybody. As a kid I loved the bright neon signs and lights. I didn’t frequent the casinos back then, and later found my way in the hospitality industry doing internships in everything from room reservations to cocktail service. I really loved the guest services. However, my first love is retail shopping. I’m a fashionista. I’ve since become a personal shopper and styling consultant, working with all sorts of people: some famous and some not so famous locals, visitors, and Vegas socialites. Hence my amateur sleuth, Stacey Deshay, is too. Naturally, my stories are set in Las Vegas, but I try not to put them on the famous Las Vegas Strip. Like I said, Vegas is more than just that. There are some very cool places in the valley that I wanted write about. For instance, my first short story, “Fashioned for Murder,” was set in a gated bedroom community. Bad things can happen anywhere. Some of my other settings have been places I’ve visited such as McCarran Airport, the Neon Museum, and the skeletons of the Moulin Rouge nightclub, where Blacks performed in the segregated 1960s. Not all the places in my stories exist, though. For “Knockoffs,” my short story in the March/April issue of AHMM, I created a fictional hotel on the Strip. I like to think of my stories as fashion mysteries, but there’s a mystery/detective element to them, too. You see, my grandfather was one of the first Black police officers in Las Vegas, and he rose to the rank of detective, so solving crimes in Vegas is sort of a family tradition.